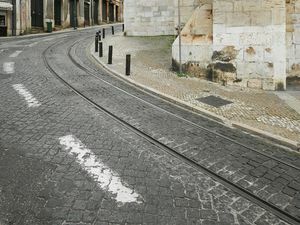 We are used to look at our cities, as citizens or visitors, from eye level upwards: there is where architecture exits and defines our city space. 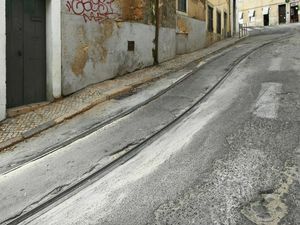 I am used, as well, to shift my PC lens upwards, in order to depict that architecture and the urban landscape. 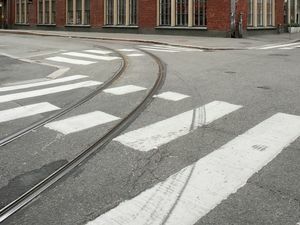 Yet, there is life down there. 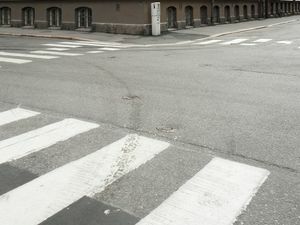 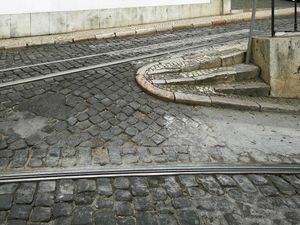 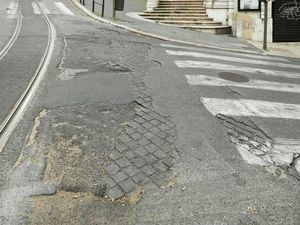 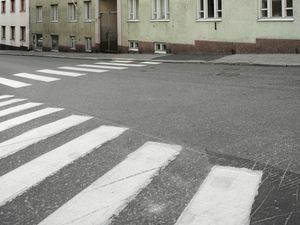 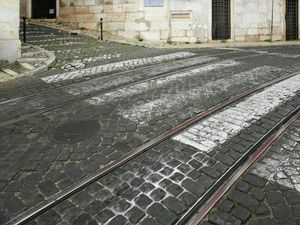 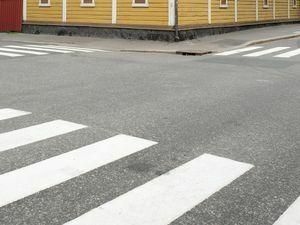 Free of cars or pedestrians, the ground of our cities –Lisbon and Helsinki in this case– is an abstract texture and layout: sidewalks, crosswalks, tram rails and paving compose a unique surface, a carpet that flows and slides ready to receive that other vertical layout of the skin of architecture.